3D echocardiography | Norton Children's Louisville, Ky. The board-certified and fellowship-trained specialists at Norton Children’s Heart Institute may use 3D echocardiography to examine your child’s heart. 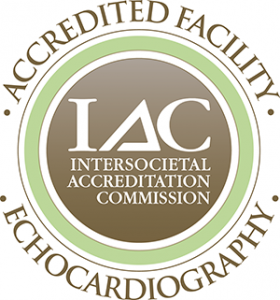 The echocardiogram (echo) test is similar to an ultrasound many women have while pregnant. It is safe, painless and doesn’t use radiation. Your pediatric cardiologist can use the three-dimensional images from the echocardiogram to get a more detailed view of the heart. That provides a better understanding of any issues with the heart structure and heartbeat, such as a hole between the chambers, fluid around the heart, valve shape, backward flow and more. The 3D echocardiogram shows how much blood your child’s heart chambers can handle and a clearer picture of any congenital heart disease affecting the valves and other parts of the heart. A 3D echocardiogram is particularly useful for assessing the size and function of heart’s left ventricle. The test provides a more precise measure of how much blood in the left ventricle is pumped out with each beat. A child older than age 4 probably won’t need to be sedated (asleep). If sedation is needed, the Norton Children’s pediatric anesthesia team will help with that. These professionals are specially trained in safely sedating children.